At my church, corporate prayers emphasize our need for God and that God is a good God. A compassionate God. A loving God. Never a mention of the fact that God is a just God and that He can’t look upon sin – of which we reek. Never a mention that all our righteous deeds are like a filthy cloth. Never a mention that we desperately need Jesus Christ. Corporate prayer is safe and appropriate to the occasion. I couldn’t remember ever experiencing intimacy with Christ, being moved to desperation or overwhelmed with adoration and gratitude by corporate prayer. Conversations are about the logistics and scheduling of programs and service. When I went to them (I’ve stopped going), discussions in classes and studies were theological, academic and intellectual. I couldn’t remember ever being convicted or personally challenged by a sermon message or class discussion. My church is grounded in the assumption of Christ. and I couldn’t remember it ever being otherwise. I have attended this church for 12 years. 12 years. How had I not seen it before? I had been asleep. Numb. On autopilot. I had forgotten. I had been distracted. I had spent 12 years nestled in the security of familiarity and comfort. Now I am awake, stirred by the Holy Spirit. Through God’s grace, I’ve been prompted to switch off my autopilot. Now my vision is vertical and unobstructed. And I am wrenched about what I see and how much time I’ve wasted. I am ashamed. Ashamed to have wasted so much time. Deeply ashamed that I have allowed my children to believe this is what church is. 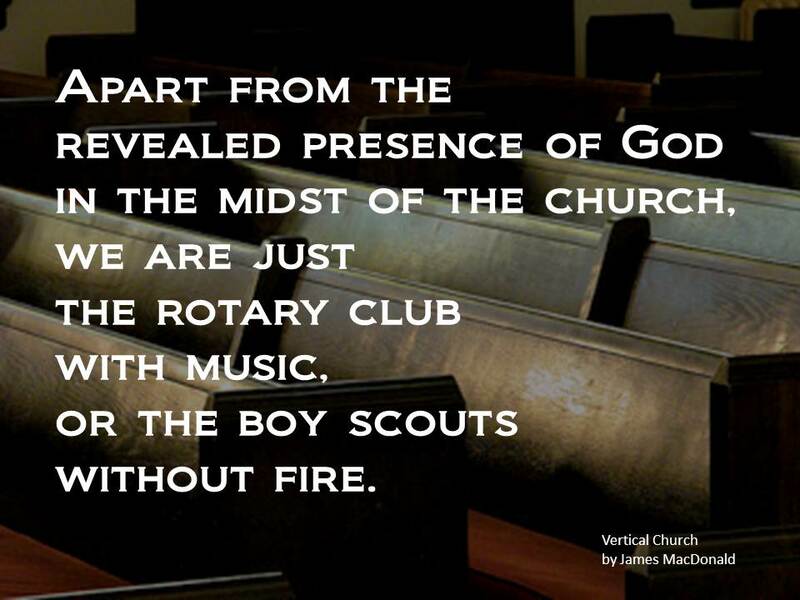 I looked out into the empty sanctuary that Wednesday morning and I saw a beautiful building. And I remembered something. When the sanctuary was being built, after the walls went up, but before any painting or flooring, the youth of the church had been invited and encouraged to write scripture on the cement foundation and the walls. Under the paint and flooring of that beautiful sanctuary was the Word of God. Covered up. Hidden. Hidden by beautiful things, but still hidden. Did Matthew 15:8-9 describe this church? I couldn’t say no with any confidence at all. We didn’t talk about Jesus much here. We talked about god. And yes, that lowercase “g” is intentional. Church has been a part of my life for as long as I can remember. It’s one of the reasons I thought I was a Christian before I ever accepted Christ. But for every church I’d attended, I was suddenly able to recognize which ones didn’t place Jesus at the center. This wasn’t the only one, just the most recent. 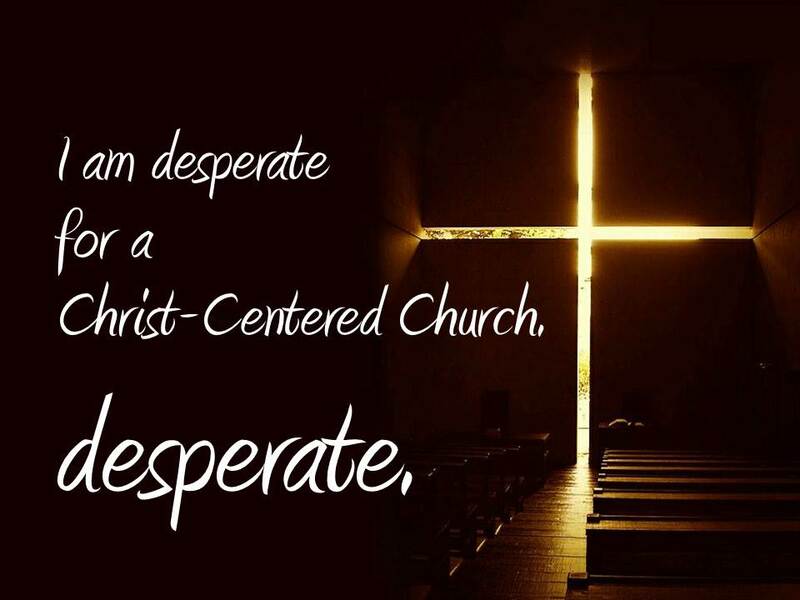 And I am desperate for a Christ-centered church. I believe I am facing the end of a season of my life and I am profoundly sad about it. It keeps me up at night and it wakes me up before dawn, filling my thoughts and prayers. I know that continuing in the status quo is not an option. Something has to change. I can’t un-know what God has revealed to me. And yet, after praying that prayer weeks before and reading what I believed to be a Word from God in Matthew 15:8-9 that autumn morning, I still prayed for revival. Filled with doubt that God would lift a finger, I prayed for a miracle. I don’t want this season of my life to end, but I know that I can’t stay immersed in the assumption of Christ. Something has to change. My soul longs to be part of a church where talking about hard things doesn’t make people uncomfortable. I need to be part of a church where I can be open about my own sin without people rushing to assure me that I am a good person. I dream of a church where I can be a Jesus Freak and not freak people out. I ache to be part of a church where saying all this wouldn’t be met with disapproval or dismissed as coming from a wack job with too much time on her hands. I desperately, desperately need to be part of a church where I’m not belittled or patronized because I think too much, pray too much or love Jesus too much. This post is the third in a multi-part series, written mostly in early autumn 2012, published now for the first time. Holding you in prayer, Jules, as you walk through this valley of faith right now. But please, no shame. God had you where he wanted you for that season of your life. It’s ok to be sad that this season is ending, but a glorious new spring is around the corner and you will soon see that God uses EVERYTHING to good ends! So…until God opens the next door, you go right on praising him in the hallway! So interesting that we are in the same season in life, albeit for different reasons. We haven’t yet tried a new church yet (you see on FB how sick we’ve been!). Have you tried anything new yet? Have you found a new home yet? I agree with Debbie! I was listening to a lesson today about how God puts us in the desert or a dry spell at times in our lives to get us ready to be used for Him.